Chinese medicines are predominantly herbs, although animal parts and minerals form a part of many as well. Traditional Chinese medicine considers all of our daily food as medicines too. There is a saying in Chinese medicine “medicinal substances and food share the same resources”. Therefore one must be aware of compatibilities and incompatibilities between herbal medicines and our daily food as well as interactions and conflicts between natural medicines and modern western drugs. There has been more modern scientific research done on traditional Chinese medicines than any other traditional medicines worldwide. More than 5,767 kinds of natural medicines have been applied in Chinese medicine including approximately 4,773 different kinds of plants. About 500 of these medicines are the most commonly used. At our Muzu clinics, we have over 300 kinds of single herbs and about 100 patent medicine products to choose from to meet all your general healthcare needs. The majority of Chinese medicines are native in China however there are a few medicines which originate in places such as Southeast Asia, India, the Middle East, Russia and the America. 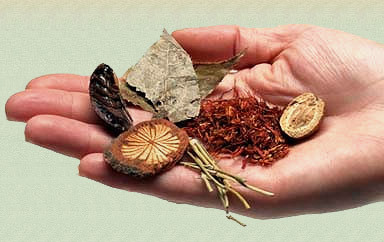 Chinese medicines have been used for treatment and prevention of diseases for over 5,000 years. Chinese medicines are generally effective and safe to help treat most common health problems and maintain general well-being. However for chronic and difficult conditions, Chinese medicines are effective, safe and more suitable for long-term use. Most commonly used Chinese medicines are safe with little side-effects and suitable for long-term use. This is one of their advantages in comparison to chemical drugs. Some Chinese medicines (which do have severe side-effects) are only allowed for temporay use and for over a short period of time. Therefore you should always be prepared to ask questions if you don’t understand what you have been offered. There is currently no statutory regulation on the natural medicine profession in New Zealand so it is very important that your chosen Chinese medicine practitioners are well trained and experienced because some current practitioners have only limited training. or They have at least a diploma or equivalence to three years full time training specifically in Traditional Chinese herbal medicine. For the most commonly used Chinese herbal products to assist with a range of symptoms please visit our store!